Every wave of innovation has produced winners and losers. The advent of the Internet caused factory workers in the developed world to lose their jobs. But this also allowed knowledge workers in the developing world to rise. The next wave will challenge middle classes across the world. It will move them to poverty while frontier economies will benefit. There is now a concentration of power, like the Roman Empire, where a small region controls most of the world. For example, consider Uber or Airbnb, based in Silicon Valley, in the Internet Age. The presence of Uber or Airbnb across the world, has ensured that the ultimate gainers are in Silicon Valley and not in the local markets where these companies operate. What will happen in the next wave? Which are the countries or geographic regions taking control of the future? The author, Alec Ross, has written this book to answer some of these questions. Having lived through the Globalization wave, his parents or grandparents wished they had known what globalization would have done to the world. He is living through the Internet wave. He says he wishes that he had a read a book which would have foretold the impact of the internet. Since these books did not exist then, he has written ‘The Industries of the Future’. This is to equip the current generation with some of his thoughts around the likely impactful industries in the next twenty years. Alec Ross is a leading innovation expert who worked as the Senior Advisor for Innovation to Hillary Clinton, when she was the Secretary of State. He has worked with various governments on their social digital initiatives. ‘The Industries of the Future’ has a lot of useful insights. Some of the ideas in the book read like science fiction from the 80s and 90s. ‘Jurassic Park’, ‘Next’, ‘Foundation’ etc. are slowly coming into being. The reality is that this is happening now. 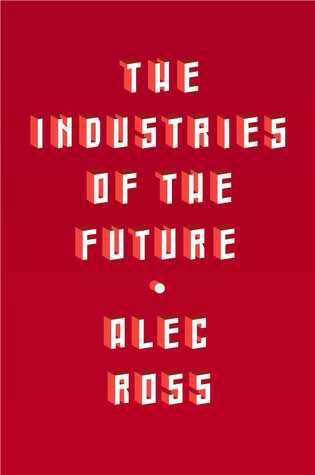 Alec Ross’s expertise in technology and policy comes across in the book. He has added many anecdotes in his book, based on his experience. This adds a lot of credibility to his hypotheses. I liked the fact that he used specific examples to convey his point across. For example, he talks about m-Pesa in Kenya when talking about digital payments. He is not restricted to a geography but rather covers all them well. This, again, adds to the authority of his ideas. I also liked his approach of listing down the innovators in each field and the reasons about why and how they are approaching these industries. He is not jingoistic. But he does tend to favour the democratic-free-market approach to the authoritarian-controlled approach. Yet, this does not colour his thoughts on who’s leading and why. His predictions are quite pessimistic. His expectations from the impact these industries will have tend to be on the doom and gloom side. Could this be due to the time he spent in the State Department where he might have been privy to secret information? In my opinion, there is likely to be a negative impact before we start seeing some positive impact in the world. I would take the Industrial Revolution as an example. The people who benefited most from this were the ones running the factories and mills. The environment was depredated and living conditions were horrid. Eventually, this led to a lessening of the power of the nobility and a higher standard of living across the world. The biggest difference, I see, across these waves of innovation is that the margin of error keeps reducing. Whether we will have the time to recover from the mistakes we make in the next wave is questionable. This makes me wonder about the kind of world our children will live. On a closing note, China seems to be the leader in many of these areas. India is a laggard and does not seem to be an innovator due to systemic issues and the brain drain. I would recommend this book to all. This is a fantastic read. ‘The Industries of the Future’ is broken into 6 parts. Each of the first five parts deals with a specific emerging industry. The last part talks about the geopolitical factors that will determine the success of a nation and industry. Robotics. The Artificial Intelligence and machine learning revolution will have a great impact on labour. It will be on the same scale as the agricultural, industrial and digital revolutions. There will be an unequal impact on people in that automation will destroy more jobs than create. Genomics. As a result of advances in this field, people will live longer and healthier. But this impact won’t be fair. The rich and powerful, who can afford it, will benefit the most out of it. Code-ification of Money, Markets and Trust. There are now new opportunities for entrepreneurs, in any part of the world, to receive, hold, spend and transfer monies. Cryptocurrencies like Bitcoin or Litecoin will be the future. Trust is now becoming digital. Blockchain will rewrite the interactions between citizen, corporation and country. It will destroy middlemen and traditional authorities. Weaponization of Code. This is fastest growing and most disruptive of all the industries here. It has the potential to allow bad actors to cause systemic damage to people, corporations and nations. Cyberspace is now a domain of warfare alongside land, sea, air and space. Big Data. Data is the most sought after raw material. The next successful nations will be those with an abundance of this raw material and the know-how to get insights out of it. The Geography of Future Markets. The Left vs Right conflicts defined the 20th Century. The 21st century will be defined by the conflicts between open and closed political and economic models. The nations which are doing well now have hybrid models with varying degrees of openness. There are lot of opinions on the factors behind innovation. The one common element to all them is the empowerment of women.